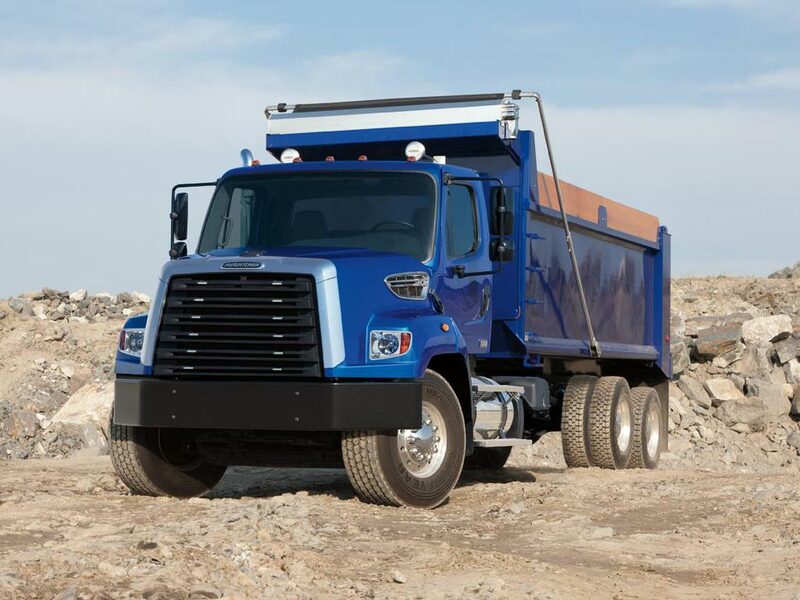 The Freightliner 108SD commercial truck packs heavyweight power into a smaller package. 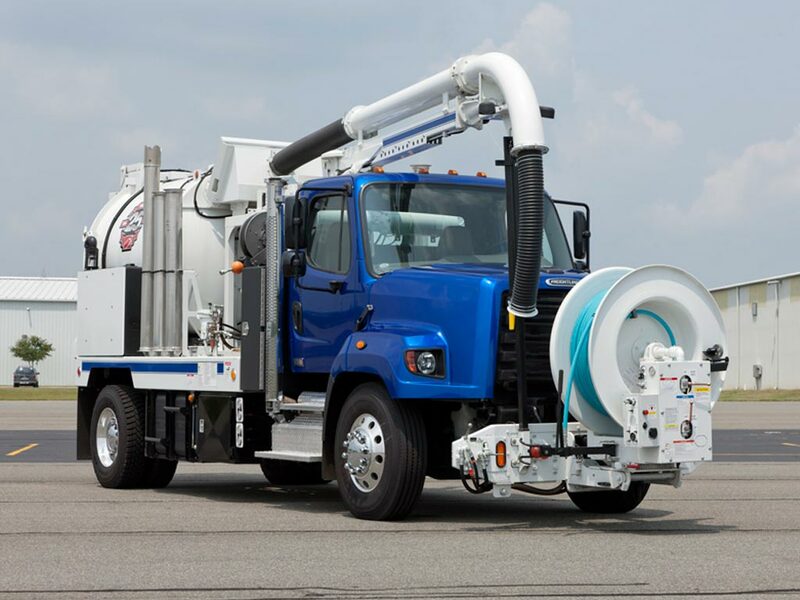 It takes toughness onto tight job sites and down narrow streets, so the job gets done right. It takes toughness onto tight job sites and down narrow streets. So your heavy duty trucking job can get done as efficiently as possible. The versatility of this truck model is just one reason businesses choose the Freightliner 108SD over other heavy duty trucks for sale. 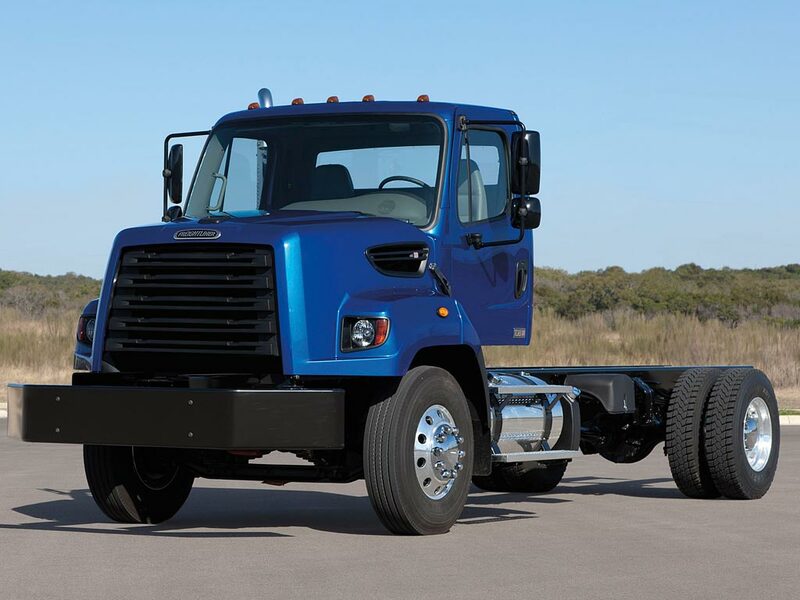 With the Freightliner 108SD, you get powerful, fuel-efficient engines, multiple PTO options, a chassis engineered for ease of upfit and a weight-optimized design. 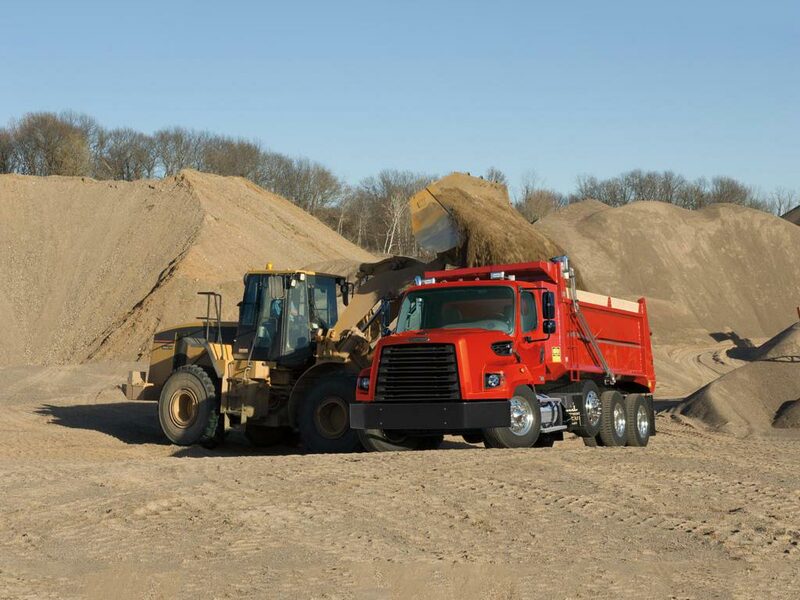 We provide strong and multifaceted equipment to ensure optimal heavy duty trucking performance. 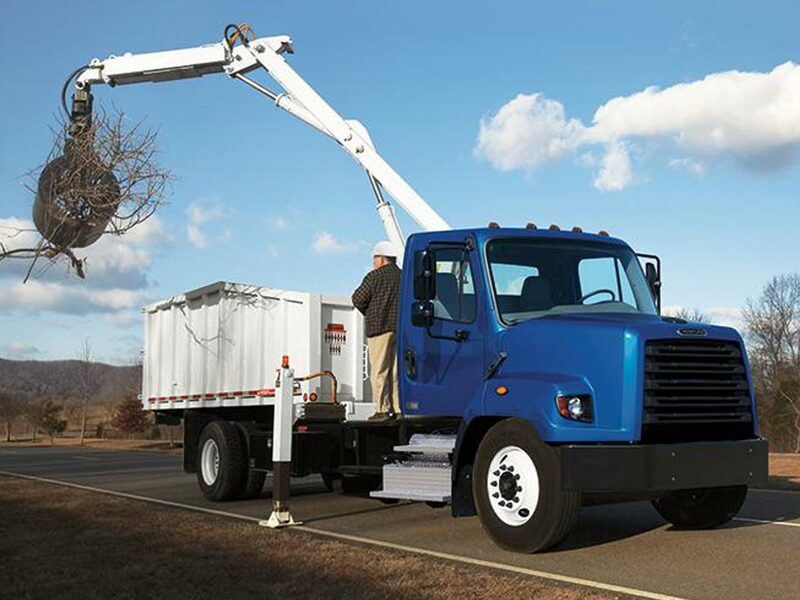 Severe duty construction, combined with a steel-reinforced aluminum cab, make the Freightliner 108SD sturdy and durable enough for a hard day's work. For many days to come. The ergonomic design of the cab interior, as well as comfort and convenience features, help operators stay productive and efficient throughout the day. Set-back front axle position at 42"